1. Just got back from a trip to Utah.... good food, craft stores, fun times with the fam. My parents now have a (borrowed) Tractor, 21 chickens and two cows. Buddy was in heaven. 2. For Father's Day I took Buddy to Camp Williams to visit Grandpa Mike's grave. Joey's dad passed way several years ago at the young age of 46. I love this picture. I think its important to make these connections. Happy Father's Day Grandpa Mike. 3. I love this picture of Buddy and my sister Caroline waiting for the irrigation water to come in. I love that my parents have a little bit of the country life in the city. Makes me Happy. 4. Flying home was a nightmare. I was supposed to fly to Dallas early afternoon on the 4th so we could send some of the 4th together as family. But there was weather in Denver (my layover) and so after eight hours (literally) in the airport they canceled our flights from Denver to Dallas and there weren't any other flights to Dallas that night. So they told me I could be stranded in SLC or Denver. Ugh. It was horrible!! A very very unhappy toddler and mama who was going crazy standing in so many long lines and nobody having any solutions... and because it was weather related they wouldn't put us up for the night.... so out of desperation I rented a car, drove back down to my parents for the night and then got up early early the next morning to go back to the airport. If I'd been in a better mood I would have taken a picture of the looooooooong lines. But alas I was in a very very grumpy mood. And the kicker? They lost my luggage. For three days. 5. While we were there my dad was in charge of a huge Youth Pioneer Trek... so we got to hang out with the carts for a couple of days. Its not every day you have 10 handcarts sitting in your driveway. 6. I love these pictures of Buddy, Calvin and Auntie Carrie fat doggin' after a yummy Sunday dinner. Fat doggin' it means that dinner was so good that you just have take a rest until you have room to move again. And now we're home... trying to get back in our routine, getting caught up on laundry, work, church and trying to make time for a trip to the pool! We just got back from a week at the Beach. We played in the water. We watched Sunsets from the Beach. We went on a Dolphin cruise. We collected shells and chased sand crabs. We went swimming in the pool every night. It was good for my soul to just be with my little family. I got a little teary when we pulled out... not knowing if and when we'd be back. You can check out the rest of the pictures in my facebook album... it should be public so let me know if you have any problems viewing it. When Carrie came to visit us she wanted to go to visit her BFF who was living in San Antonio... and then the BFF moved to another part of Texas two weeks before Carrie came... but we still wanted to go to San Antonio since we had everything already planned... I'm so glad we did because it was SUCH A FUN TRIP!!! Seriously so much fun.... we love road trips!! Late night runs to Target (which was right across the freeway from our hotel room but took us FOREVER to get there)! Joey wearing his BYU hat and a million LDS people stopping us on the Riverwalk and at Sea World to say hello... those Mormons are such friendly people! This was the first time any of us had been to Sea World... I found an awesome coupon online... so we were able to get tickets for good deal plus a free day... it was perfect!! We left the boys at the hotel the first day... they wanted to swim and play and Joey was nice to keep the baby so that Carrie and I could ride all the rides. And I'm so glad we went on Friday when the lines were way shorter! We had sooo much fun! We rode every roller coaster and water ride and on Saturday when the boys came with us we did the aquarium and fed the dolphins twice. It was sooooooo fun and we can't wait to do it again!! Carrie come back and play with us!!!! 1. We drove to Arizona for the big (300+) Boone Family Reunion. Road trippin' with the family... ipods and laptops definitely make the trip go faster... Baby boy did awesome. Good times! 2. Snowflake, AZ is a huge part of my heritage... named after the pioneer families Snow and Flake that founded it... The Snowflake of my childhood was magical with fun cousins... doing stuff that we didn't normally get to do. It's been 15 years since I'd been back. And while its still magical... the fun cousins are all grown with families of their owns and I was sad that it wasn't quite the same as the Snowflake of my childhood memories. Growing up will do that I guess. 3. We went early to partake in the huge Pioneer Day celebrations that happen there every year. I loooooooooooooooove Pioneer Day Celebrations. Parades, Rodeos, Softball Tournaments, BBQ's, etc. The celebrations (and all you can eat watermelon) did not disappoint and were thankfully just as I had remembered them. 4. We went to the Flake Family Rodeo... not to be confused with the town rodeo which is on the same day and also lots of fun. What can I say... we like rodeo's! 6. One day we went and had malts in an old malt shoppe... we sat the counter and everything... very quaint... I loved it. 7. There was lots of visiting family and old family homes... some of the family I didn't know... one of which is my dad's cousin (or uncle??)... he has a very eclectic style... TP's in his yard, bear rugs every where and a cut out of John Wayne in the guest room. My dad had a great time visiting with his kin... me and the siblings had a great time taking posed pictures while he visited with his kin. 9. I was still working the whole time... one day my internet connection was non-existent so I schlepped myself to the closest laundromat and worked there for a few hours... exactly how I want to be spending quality family reunion time.. at a laundromat with my laptop. 10. We drove to the new(ish) Snowflake Temple which I think is so beautiful against the desert. 11. One day to get out of the heat we went to see the new Harry Potter. I fell off the Harry Potter wagon along time ago but it was fun to sit in a cool theater and watch a movie with my family (even if I had no clue what was going on with the story). 12. We got to go visit my grandparents grave... its been way too long since my last visit. 13. We got to visit the "Big House" where my grandmother Ruth was born and raised. 14. We got to talk to my little brother who was leaving the MTC on the way to his mission in Alabama. 15. All was going well and everyone having a dandy time until the whole camp came down with the black plague. I don't know who brought the flu with them but it was horrible and almost everybody got it. A million people and three toilets... not good ratio's. So me and the sisters (and brother in law) packed up the cars and drove the long way back to Utah. My dad wanted to stick it out... sick and all... so they stuck it out until the end. They would make much pioneers than me. When I got home I totally regretted leaving... I should have just stuck it out. But at the moment it seemed like a good idea. And that is the end of Family Reunion 2009... so happy that I got to go. I feel so grateful for the history and tradition... and I'm grateful that the Boone's value it enough to make the effort do the reunion every three years... a lot of people come long distances to be there... I feel blessed to be a part of them. We looooooooooooooooooooove New Orleans... when we lived in Louisiana we went on a fairly regular basis... we had lots of visitors and they all wanted to see New Orleans so it was a regular stop on the tour. We haven't been since we moved and we had a couple of hours in between leaving Alabama and our flight so we stopped for a couple to see a few of our favorite places. First on the stop was Cafe Du Monde... famous for their beignets and coffee (or in our case hot chocolate)... I love the people watching, the outdoor musicians, the yummy food and the pigeons everywhere. It was sooo fun to be back. Next on to the French Market where you can buy anything... masks, alligator heads, voo-doo dolls... anything your little heart desires. And we ended the tour with a quick trip to Bourbon street looking for a Louisiana flag but we didn't find what we were looking for. Sadly we ran out of time and didn't get any pictures at Jackson Square... my other favorite place. It was a quick visit but a perfect way to end our trip... Laissez le bons temps rouler! We got home at almost midnight... its always fun to go and see but always so nice to come home! We spent the morning at the pool (but the water was a bit too cold to enjoy). The afternoon touring Fort Morgan (a big deal during the war of 1812 and Civil War). Watching the pretty dolphins in the bay. Eating the best fried shrimp ever. It was a very good day indeed. Fabulous day! sad the days are flying by so fast! We skipped town for a little bit of work and hopefully a lot of fun... be back soon! 1. I made a way too quick trip to Utah and got back late last night. I took one of my young women for Spring Break to visit her sister who is living with my family... it was fun... but way too quick. I feel bad when I don't call friends when I'm in town...but really there was no time this time... sad but true. 2. While we were there we went to Park City, went to Ogden, celebrated St. Patrick's day (complete with a fully green dinner), took Texas girls shopping for Utah stuff, introduced them to Fry Sauce, went to my sisters church to listen to her talk (where I ran in to my old boss... random), got my hair cut, got moles removed from my face, jumped on the trampoline with baby boy, celebrated my sisters birthday, went out to dinner with my parents, went out to dinner with Jimmy and Sara, went to the scrapbook store, went to Seagull Book to buy a baby gift for a friend,visited MIL and Auntie Jill and Uncle Bob,waited for my brothers mission call that never came... so much to spend a few days with family! 2. The weather was fabulous... beautiful and wonderful the whole time we were there and then Monday it snowed all day... which is fine because then we left and came back to Texas with its 75 degree weather. I know... we're fair weather friends (no pun intended... but funny nonetheless). 3. I got my hair cut while I was gone (like I usually do)... but this time its short. Way short. I've never had hair this short. I didn't have my glasses on so I was a bit surprised when I put them on it and was quite a bit shorter than I thought it would be.... But its hair and it will grow back. And the color was fabulous. So all is good. 4. My husbands birthday is tomorrow. So somewhere between catching up on work and laundry and other fun stuff I have to make birthday magic happen. My husband looooooooooooves his birthday. Its his favorite holiday. Unfortunately it falls in the middle of the week and its a crazy busy week for both of us. So it will be harder to make the magic happen... but have no fear... it will somehow happen. 1. Wow. That was quite the break. I really didn't intend to take that long of a blogging break... just kind of happen and before I realize it it's the third week of January. But I'm back and looking forward to a new and exciting year. 2. With Joey off work for a couple of days we decided to take a very quick trip to Utah. We called it "Baby's World Tour: meeting the fans"... It was little man's first flight, first time meeting Grandma's and Grandpa, Aunties, Uncles and cousins. It was also his first time leaving the state and first time experience the snow and cold... lots to process for a three month old. We got to spend time with both sides of the family... it was way too quick but lots and lots of fun. Lots of pictures below. 3. Project 365 is in full swing... a picture a day in 2009... you can see my pictures on my Project 365 blog here. I've also started the scrapbook. It's a really fun project and I'm enjoying the challenge of taking pictures of the little things in my life... it's making me more aware of things that might otherwise be forgotten. I'm still trying to figure out if I want to post in a weekly format or a daily format. 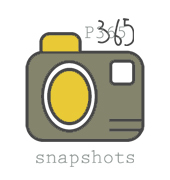 So the 365 blog is still very much a work in progress. 4. It was a year ago this week that we did our Embryo Transfer as the final step of the In-vitro process. I keep meaning to write about it, especially before I forget a lot of the little details... it was one of the hardest and most emotional experiences of my life... But this week as I kiss and love on my miracle baby I'm especially mindful and aware of the goodness of our Heavenly Father ... a Heavenly Father who is mindful of my heartaches, my joys, my sorrows, my successes, my wants and my needs. I hope to never take that for granted. This week I celebrate a baby, modern medicine and a loving Heavenly Father. 5. I made New Year's Resolutions. I love a year of new goals. Will post later. 6. My baby does not sleep during the day... much to my dismay and frustration he does not take naps. But while we were in Utah Grandma Mary was able to get him to take a nap... the secret?... a slip... the silky kind that you wear under your skirts. Give him a slip to and lay him down in a dark room and he is out. For a full hour. A FULL HOUR! The heavens are singing hallelujah's on my behalf. 7. My Christmas decorations are still up. Ugh. I had every intention of taking them down before we left for Utah... but I ran out of time... and here I am on the 18th day of January still looking at my Santa collection. I was able to take the tree down yesterday but if I have to look at my decorations any longer I'm going to go out of my mind. 8. I saw Mamma Mia while I was in Utah. I assumed I was going to love it since I LOVE ABBA music. And while I give the music in the movie an A, I give the story and plot a D. Boo... very disappointed. I thought it was cheesy and annoying. 9. While we were in Utah it snowed and snowed and snowed and snowed. After we dropped Joey off at the airport we drove to my mom's house in a blizzard... a drive that is usually around an hour took me almost three hours. Ugh. Lots and lots of deer in my parents yard. Isn't it magical. Grandpa Boone getting little man to sleep... not an easy task! The boys watching the University of Utah beat Alabama. Hooray!! Auntie Carrie bathing little man in G & G jet tub. Little man getting lots of one on one time with Grandma Kathryn (Francks)... he reached and grabbed his toy for the very first time under her tutelage. Lots of games while we were visiting the Francks in Clearfield. We love playing games! So happy to see Uncle Jimmy and Auntie Sara (Francks)... I love them as much as little man does. Uncle Jesse (Boone)... I love his little Christmas sweater vest. Auntie Mariah holding little man and his newest cousin Miriam born three weeks ago. Hanging out with cute cousin Aby Jayne (and Grandma Mary's magic slip). The view from my parents front door... the mountains always make me homesick for Utah. We were so excited to get back to Texas so the Joey's could be together again.